Paris is one of the most desired travel destinations in the world, a place everyone should visit once in their lifetime. With its special charm, unparalleled historical heritage and exquisite cuisine, Paris is always a good idea to visit. Once you’ve booked your flight and hotel, another decision is left to be made: Paris airport transfer. 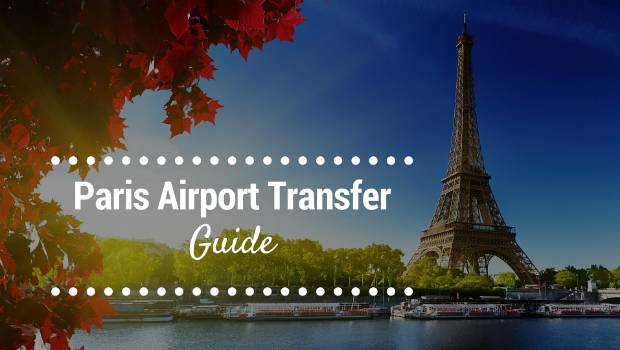 In this guide, we’ve summarized the essential info you need to know about Paris airport transfer options. Charles de Gaulle airport is the main hub for international flights to Paris. The relatively short distance of 35 km from the city centre makes it easily accessible. The cheapest and fastest public transport option is by train. The RER B train departs from Terminal 2 and Terminal 3 every 15 minutes and the journey takes approximately 45 minutes. If you’re arriving at a different terminal, the shuttle train will take you to the train stops. The RER B train will take you to the Gare du Nord station in central Paris. You can take the Roissy airport bus which leaves from all three terminals every 15 minutes while a cheaper option would be to use local buses number 350 or 351. Orly airport is only 13 km from Paris and depending on the transport type, the journey takes less than half an hour. There is an RER station near the airport, at Anthony, and can be easily reached from both terminals with the shuttle train line. This is a fast and cost-effective public transport option and in 8 minutes you will be in central Paris. Orly bus transfer is available as well with buses departing from both terminals every 10-20 minutes and you will reach Paris city centre in 30 minutes. A really cheap option is to take local bus number 183 or 285, but they make multiple stops around Paris and the airport transfer may take longer. Beauvais airport is a small, international airport used for charter and low-cost flights. There is no train station at the airport, but you can get by shuttle or taxi to the Beauvais train station, only 5 km from the airport. The TER train will take you to Gare du Nord station and the journey takes around 1 hour and 20 minutes. More practical public transport option is to take a bus which will take you to Porte Maillot. Car hire gives you the flexibility to make your own schedule and explore Paris with its nearby area. However, you need to be aware that Paris is a busy city and you need to be well acquainted with the driving system and parking spaces in this city. Car rental companies have offices at all three airports in Paris, but it is recommended to make the arrangement and book the service online. This way, you will avoid filling out paperwork at the airport and you can arrange extras like child seats, so the vehicle is ready for pickup at the airport. Paris airport taxis are available at the Paris airports in front of the Arrivals hall, at the designated taxi ranks. You will need to wait in a queue to get a taxi and in peak hours, it might get crowded. Another important thing you need to know about Paris airport taxis is that most of the drivers don’t speak English so it would be convenient if you have your destination written on a piece of paper or on your phone. Paris taxis will charge you by the meter and taxi fares vary depending on the time od the day and traffic conditions. The taxi will take up to 3 passengers and an additional charge applies for the luggage. There are several Paris shuttle service providers which offer airport transfer from Charles de Gaulle, Orly and Beauvais airport. They have predefined routes and schedules so you need to check if any of the stops are nearby your accommodation. Sometimes you will need to use another transport type, bus or taxi, to get to your final destination. Also, keep in mind that you’re sharing the transfer with other people with different destination points, so the journey may take longer than planned as there will be multiple stops along the way. This type or Paris airport transfer is especially convenient for solo travellers with luggage, as the cost is lower than taking an airport taxi, for example. The service needs to be booked in advance. Sometimes you’re in a hurry or want to use every second on Paris sightseeing, so the best option would be to book online private Paris airport transfer. This is a door-to-door airport transfer which includes “Meet and greet” service, meaning the taxi driver will be waiting for you at the airport with a sign displaying your name. Another service included free of charge is the flight monitoring. The Paris airport transfer provider monitors your flight and adjusts the pickup time if there are any delays. 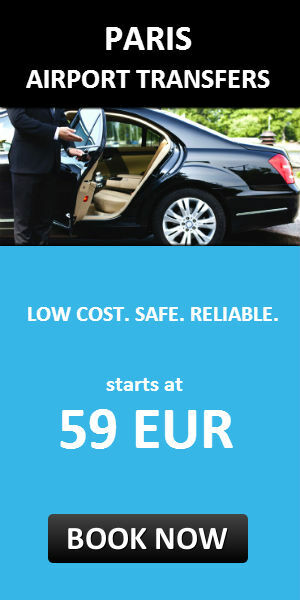 The taxi fare for Charles de Gaulle, Orly and Beauvais airport transfer is a fixed amount. This is especially convenient since Paris is a very busy city, especially in peak hours, so you will avoid additional charges if you get stuck in traffic. The cost is per vehicle, so it is split among the passengers and often this is the most cost effective option compared to the other Paris airport transfer types. There is no perfect Paris airport transfer type and each of these solutions has its own pros and cons. The decision will be based on your purpose of trip, schedule and budget. The most important thing is to make an informed decision and what best suits our needs.